Fab Furniture: Stylish Conference Tables That Make A Statement! There's something to be said for fashionable furniture that makes a statement. If your interior is boring and out of style, it will likely be quite difficult to make a lasting impression on your valued office visitors. Have no fear, we're here to help. Today on 'Fab Furniture' we'll show you elite conference tables from brands like OFM, Global, and Offices To Go that are guaranteed keep your meeting area on the cutting edge. First up, the GT4794 from OFM. This sophisticated conference table with a glass top and metal legs offers a swanky industrial vibe. The curved ends are a nice touch that allow visitors to be seated all the way around the surface with plenty of elbow room. In most cases, glass conference tables are pretty expensive. Thankfully, OFM has your budget in mind. The GT4794 is a true bargain buy at just $1470.99. 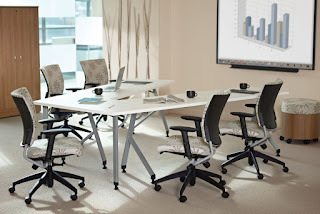 OFM isn't the only office furniture furniture that crafts elite tables for conference and boardroom areas. The team at Global Total Office designs tables for next generation businesses. Their Zira series conference room solutions are high tech and ready for the demands of modern business. 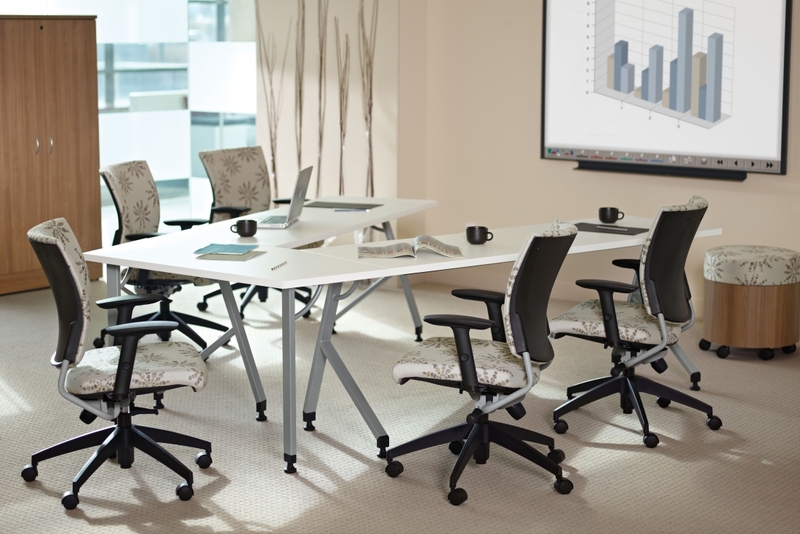 Powered tables from the Zira collection like the Z48120REE will have your meeting area activities streamlined in a flash! If you're looking to make a statement while kickstarting productivity, Zira is your best bet. Certain table shapes never go out of style. That being said, if you want to think outside the box and skip the traditional, we recommend creating an elite V shaped conference table configuration with the help of the components from the Global Junction collection. With Junction tables, the possibilities are endless. First and foremost they're affordable and easy on the eyes. They make a statement without being too over the top. A V shaped Junction layout will no doubt make your boardroom pop while simultaneously boosting corporate collaboration. With more than 10 full service office furniture collections available in 2017, you'll be at no shortage of statement making conference room table options from Mayline to consider for your space. If you're going for a high tech vibe, check out the industrial tables from their TransAction collection first. They're power ready and feature heavy duty metal bases and scratch resistant laminate tops available in a variety of popular shapes, including a hybrid boat variation that's a must see! Those looking to keep things traditional while still making a fashionable statement will love the elite tables from the Mayline Sterling collection. Options like the STC12 feature knife edged boat shaped tops with hand crafted details that really stand out. When spec'd in a cool finish like Textured Driftwood you'll be on your way to a classic coastal vibe that can't be topped. 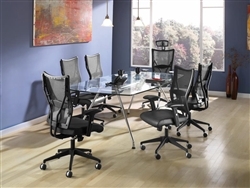 Last but certainly not least, budgeting shoppers can rest easy knowing they can make a professional statement without sacrificing quality by integrating an espresso finished conference table from Offices To Go and their Superior Laminate collection. Models like the SL9544RS boast 95" wide oval tops that encourage team interaction in the boardroom. At just $320.99, this table is perhaps the best value on the market in 2017.